Gluten - Friend or Foe? 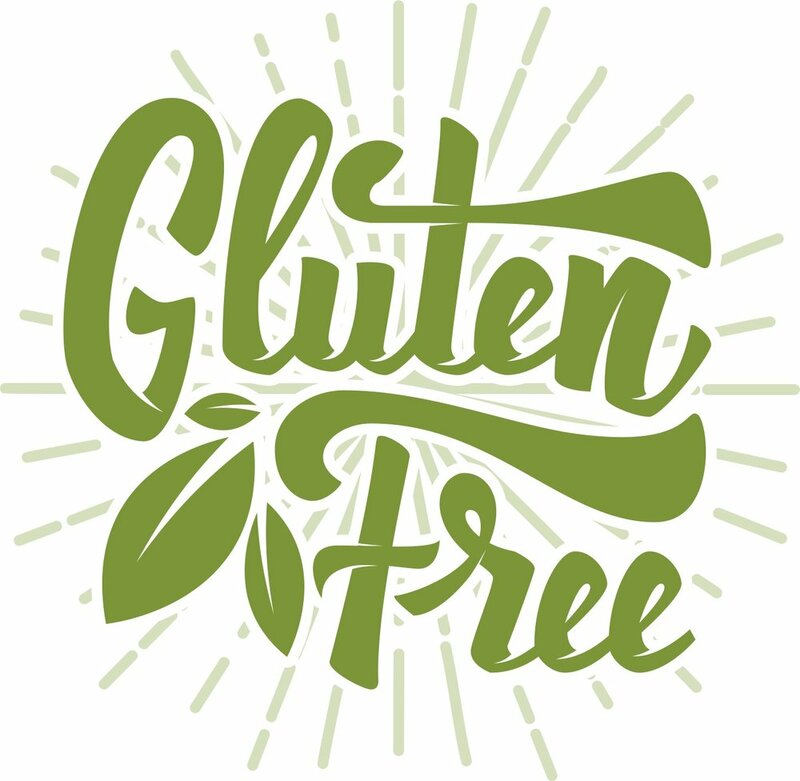 For some, gluten can cause serious problems: diarrhoea, abdominal pain, indigestion, fatigue, deficiencies, and even nerve damage are some of the complications caused by eating gluten for people with coeliac disease. With the condition, eating gluten (a protein found in wheat, barley, and rye) causes the immune system to produce antibodies that attack the lining of the small intestine. Some people also suffer with wheat allergies, where an immune response to any of the proteins found in wheat (not just gluten) can cause vomiting, diarrhoea, hives, and difficulty breathing. Quite rightly, it’s also more recently been recognised and accepted that non-coeliac or wheat allergy patients can suffer too, in the form of gluten sensitivity. Here, eating even small amounts can cause uncomfortable bloating, headaches, and chronic fatigue. For people who suffer from these conditions, the increase in the availability of gluten-free products is a real blessing as it makes dealing with strict gluten-free diets much easier. But, seeing as these three conditions affect about 2% of the population (coeliac disease affects 1 in 100, wheat allergy approx. 1 in 1000, and gluten sensitivity around 1 in 100), why have sales of gluten-free products soared so high in recent years? 22% of the UK has bought or eaten a gluten-free product at least once in the last six months (1). Most people buy gluten-free products because they believe they’re healthier, rather than for medical reasons. This could be down to celebrity endorsements from the likes of Miley Cyrus and Kim Kardashian who claim there are health benefits or even weight loss properties of gluten free diets. It could also be because of the huge increase in clever marketing creating a ‘health halo’ effect (even the packaging of these products make them look healthier). It’s understandable why investment in marketing campaigns is so extensive, as the industry was worth an estimated $5bn globally last year and is set to continue growing. Producers and retailers are capitalising on this growth in demand: while many staple food products have been facing price deflation, gluten-free products increased in price by 23% on average between 2011 and 2016. But Can Gluten Be Healthy? In fact, a gluten-free diet among healthy adults has been shown to negatively effect beneficial gut bacteria populations and immune function, because some of the components found in whole grains act as prebiotics, which feed our good gut bacteria (7). All of these reasons are why, as part of a balanced diet, experts suggest eating three portions of whole grains a day (8). You may have heard stories about people without gluten issues feeling much better going gluten-free. This may well be the case, but if cutting out gluten means they’ve also shunned cakes, biscuits, doughnuts, pizza, pastries, and beer, then there’s no wonder they felt healthier. Cutting out gluten can also make it easier not to overeat. Think about it: pizza, pasta, and bread are some of the easiest foods to over-eat with, which can in itself cause bloating. Of course, if you feel unwell after eating just one slice of bread on an empty stomach, then it’s worth getting checked out (but you should see a doctor before you go gluten-free, because it’s more difficult to establish if someone has gluten issues after they’ve cut it out for a while). The take home message? For the 98% of the population without gluten issues, save your money by avoiding expensive gluten-free products, and instead treat yourself to some fresh, locally made bread from the bakers, or some good quality pasta. Try to aim for whole grains because the bran and the germ, which are removed in white cereals, are where you find most of the fibre and nutrients. But even white bread and pasta are significant sources of nutrients in the UK, as by law, white wheat flour is fortified with iron, calcium, thiamine and niacin. Aim for three portions of whole grains a day: it’s great for your health and – just as importantly – it means you get to enjoy some incredibly tasty foods. This ultimately is the key, because when you have a good relationship with food, you’re more likely to keep to your healthy diet long into the future! 2. Tighe, Paula, Duthie, Garry, Vaughan, Nicholas, Brittenden, Julie, Simpson, William G, Duthie, Susan, . . . Thies, Frank. (2010). Effect of increased consumption of whole-grain foods on blood pressure and other cardiovascular risk markers in healthy middle-aged persons: A randomized controlled trial. The American Journal of Clinical Nutrition, 92(4), 733-40. 3. Aune, D., Chan, D., Lau, R., Vieira, R., Greenwood, D., Kampman, E., & Norat, T. (2011). Dietary fibre, whole grains, and risk of colorectal cancer: Systematic review and dose-response meta-analysis of prospective studies. BMJ : British Medical Journal, 343, BMJ : British Medical Journal, 2011, Vol.343. 4. Skeie, G., Braaten, T., Olsen, A., Kyrø, C., Tjønneland, A., Landberg, R., . . . Lund, E. (2016). Intake of whole grains and incidence of oesophageal cancer in the HELGA Cohort. European Journal of Epidemiology, 31(4), 405-414. 5. Chanson-Rolle, A., Meynier, A., Aubin, F., Lappi, J., Poutanen, K., Vinoy, S., . . . Barengo, N. (2015). Systematic Review and Meta-Analysis of Human Studies to Support a Quantitative Recommendation for Whole Grain Intake in Relation to Type 2 Diabetes (Meta-Analysis to Recommend a Whole Grain Intake). 10(6), E0131377. 6. Giacco, Della Pepa, Luongo, & Riccardi. (2011). Whole grain intake in relation to body weight: From epidemiological evidence to clinical trials. Nutrition, Metabolism and Cardiovascular Diseases, 21(12), 901-908. 7. De Palma, G., Nadal, I., Collado, M., & Sanz, Y. (2009). Effects of a gluten-free diet on gut microbiota and immune function in healthy adult human subjects. British Journal of Nutrition, 102(8), 1154-1160.